Going to Disneyland is a celebration for all senses, taste included! In addition to the top-notch attractions and entertainment, there are also countless unique and delicious meals and treats only to be found within the Disney Parks. But what if you’re aiming to eat more healthfully? Then probably a giant turkey leg or stacked marshmallows dipped in chocolate on a stick aren’t a part of your diet. 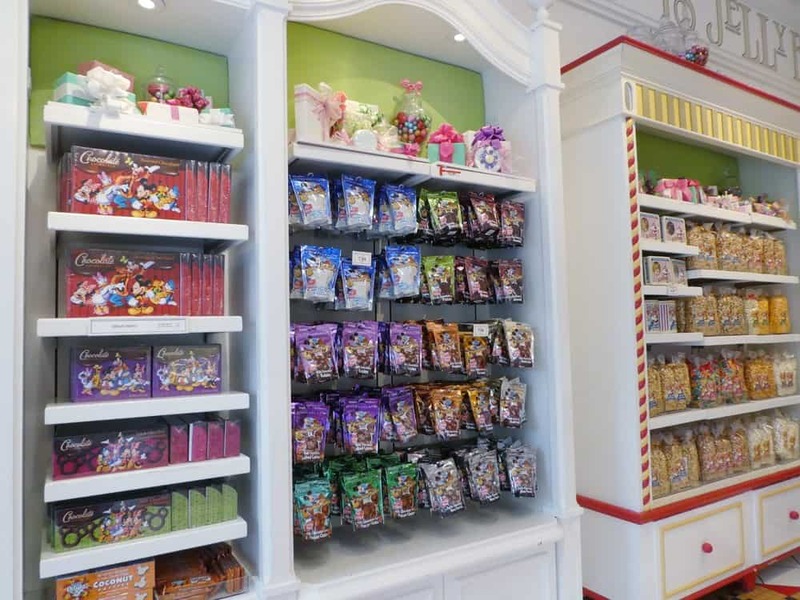 No worries, there are lots of great dining and snack choices throughout the Disneyland Park that will keep you on track! You can eat healthfully at Disneyland and still treat yourself. 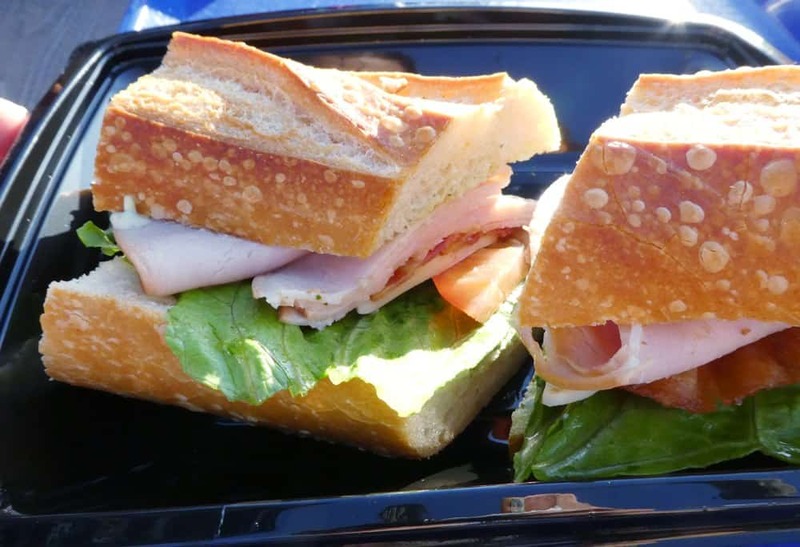 Sandwich purchased at La Brea Bakery Cafe in Downtown Disney District & brought in to the Parks. I hate to say it, but Disneyland calories totally count if you’re watching what you eat! Sure, there’s cotton candy around every corner and calorie-rich fried delights at Disneyland. But read the menus closely and you’ll see that there are healthy foods to eat at Disneyland at just about every dining location. 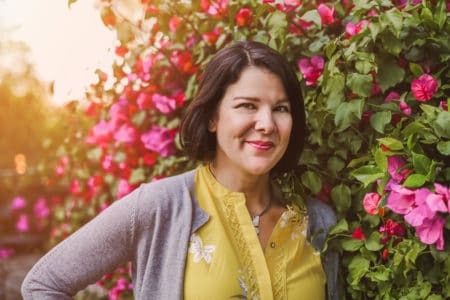 Keep reading for the tips on how to eat healthfully at Disneyland, including where to eat, what to choose and healthy snacks to pack. Breakfast is said to be the most important meal of the day, right? Consider eating breakfast before you come to the Park. The smell of frappachinos, buttery pastries and vanilla-scented Mickey waffles will be wafting through the air from the Starbucks and Jolly Holiday Bakery as you walk down Main Street, U.S.A! If you’re trying to eat healthfully at Disneyland you’ll want to fill up your tummy with healthier options before setting foot inside the Parks. Bring food to store in the hotel fridge and fill up at daybreak with Greek yogurt, a banana and fibrous flake cereal. My kids usually enjoy granola bars and fresh fruit. I also suggest dining in the Downtown Disney District before the Parks open. 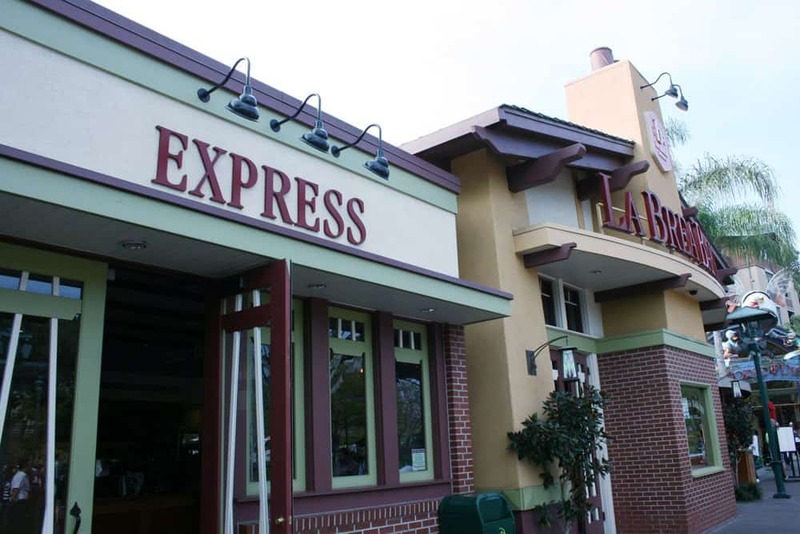 La Brea Bakery Express is a great breakfast location and you can grab things to go or eat on the patio. Skip the breakfast potatoes and see if you can opt for fruit instead. If you have a leisurely morning planned you can also sit inside the La Brea Bakery Cafe restaurant. They serve filling and delicious egg plates, vegetable frittatas and oatmeal. Jamba Juice can make you a delicious smoothie (choose the low-sugar option). 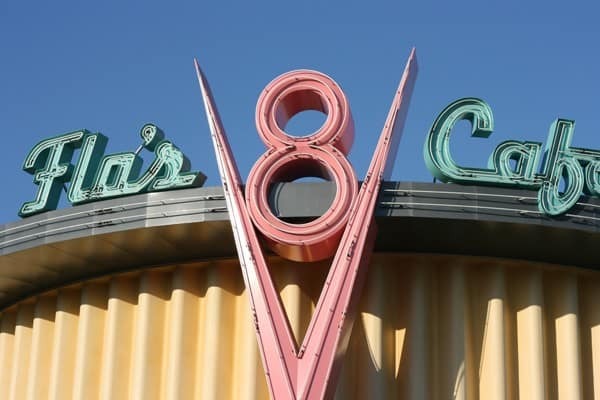 Order the fruit platter at Flo’s V8 Cafe and you’ll also receive an oat bran muffin and low fat yogurt. If you choose something healthy like the Spinach and Tomato Egg White Fritatta from Carnation Cafe, request that heavy toppings (like sour cream or fried potatoes) be served on the side so you can control the portion size or share them with someone else in your group. There are snack carts placed all over the Parks so be prepared when that heavenly popcorn or cinnamon-scent of churros hits you! Knowing where to go for the healthiest options is smart. Some carts (like Tropical Imports, Fillmore’s Taste-In and Fairfax Market) also offer fresh fruits, like bananas, apples, grapes, mangoes and pineapple spears. They even have veggies and hummus. Need a little something heartier? Swing wide of the corn dog cart and pick up an Outback Vegetable or Banyan Beef Skewer from Bengal Barbecue. Dipping sauces can contain lots of sugar so it’s best to skip. Craving something sweeter? The Dole Whip from the Tiki Juice Bar is light and refreshing with pineapple soft serve and pineapple juice. You can get vanilla ice cream with no sugar added at the Ghirardelli Soda Fountain. No sugar-added butter pecan is available at Clarabelle’s & Gibson Girl Ice Cream Parlor. Have it served in a cup instead of a sugar cone. A frozen banana is also a decent choice as it’s lightly coated in chocolate and nuts. It will also take a little longer to eat since it’s frozen so you won’t devour it as quickly. 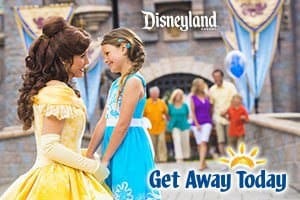 Heading to Disney World? 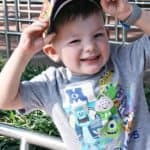 Read this post from Britni at Play Party Plan about snacks & sweets at Walt Disney World! Packing cut veggies or melon is a great way to eat healthy on your trip. Dole individual portions of nuts into small zip bags. Pack pouches of tuna with crackers (pack the crackers into a plastic tub to prevent breakage). You’ll be able to find mayo and relish at quick service dining stands for mixing into the fish. Dried fruit like plums, mangoes or cranberries are a sweet treat. READ MORE: Packing your own snacks is a great way to save money on food at Disneyland! Click the link for more food budgeting tips. Skip the sugar and calorie heavy snacks and pack your own healthy foods! 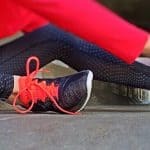 Consider having a filling breakfast and a hearty snack and you might be able to stave off a big lunch and just have dinner instead. Or make one of these healthy lunch choices! Salads can be a great idea for lunch and there are lots of salads available at the Disneyland Resort. If you’re watching calories, ask them not to add cheese. Avoid salads served in a tostada shell. For salads, always request dressing on the side so you can control the portion. Italian or oil and vinegar are going to be lighter in fat & calories than creamy dressings like Ranch or blue-cheese. The Picnic Salad at the Hungry Bear is a nice mix, including turkey breast, strawberries and Feta cheese. The Crescent City Salad at Cafe Orleans comes with either blackened chicken or Atlantic salmon (just ask for it without the sugary caramelized pecans). 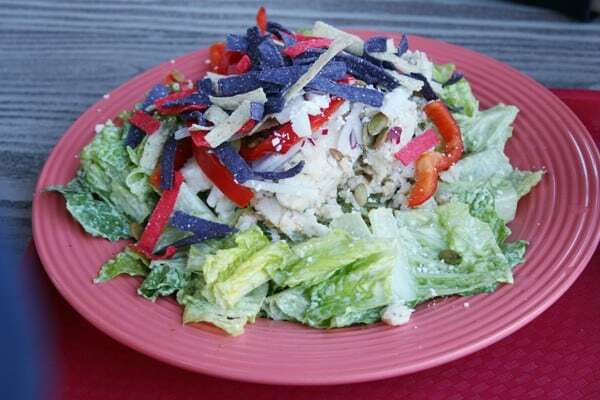 The River Belle Terrace offers Becky Thatcher’s Vegetarian Chopped Salad that includes hearty and filling proteins like hard-boiled egg, garbanzo & black beans. Sandwich on fresh baked Boudin sourdough in the Pacific Wharf area. The Troubadour Tavern offers a baked potato with broccoli and cheese sauce. Just ask for the cheese on the side so you can control the portion or eliminate all together. Village Haus and Smokejumpers Grill have a Garden Veggie Burger (hold the cheese). 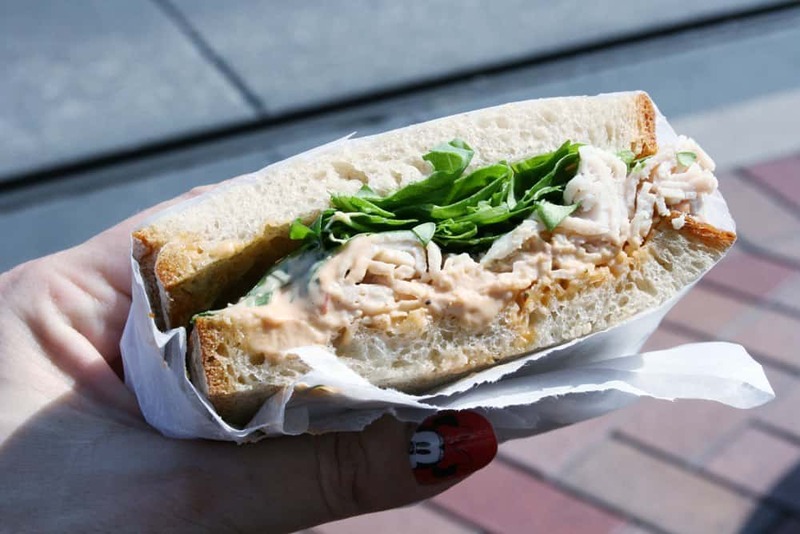 Tomorrowland Terrace offers a chicken breast sandwich with fresh veggie toppings and avocado salsa. Choose the fruit side over fries. Storyteller’s Cafe (at Disney’s Grand Californian Hotel) has a Grilled Albacore Tuna Sandwich that comes with a side of fruit. If you’re eating healthy, you already know to avoid sugar-laden sodas. Alcoholic drinks are served at Disney California Adventure Park and guests can indulge in frozen margaritas and beer on tap in the Paradise Pier area and wine at Wine Country Trattoria. Keep in mind that alcohol contains additional calories so if you’re trying to be healthy, don’t drink your calories…save them for food! 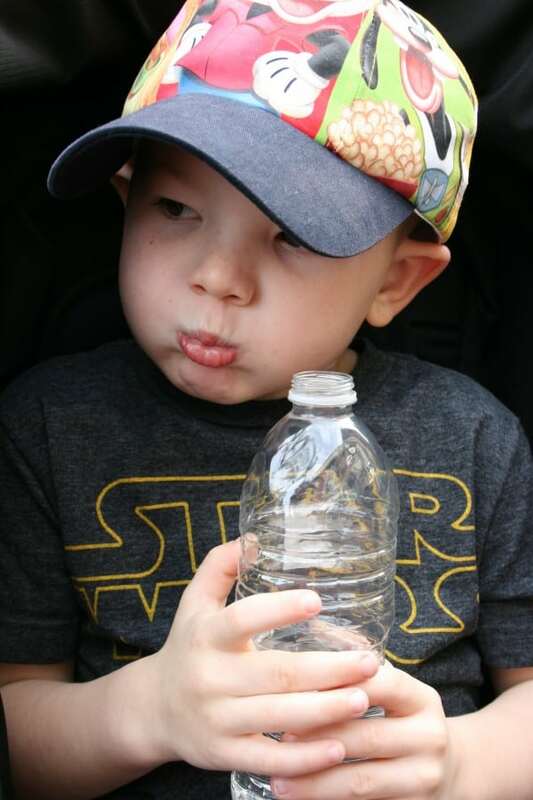 You can bring in bottles of water with you into the Parks to re-hydrate throughout the day. You can request free ice water from any counter service restaurant. 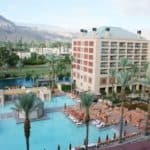 Pack your own water bottle and refill at the fountains. Snack carts offer a variety of waters for sale, including coconut water. Dinner is a great time to consider sharing a platter of food. Even if the dish is more indulgent, it’s not quite as bad if you share between 2 or 3. 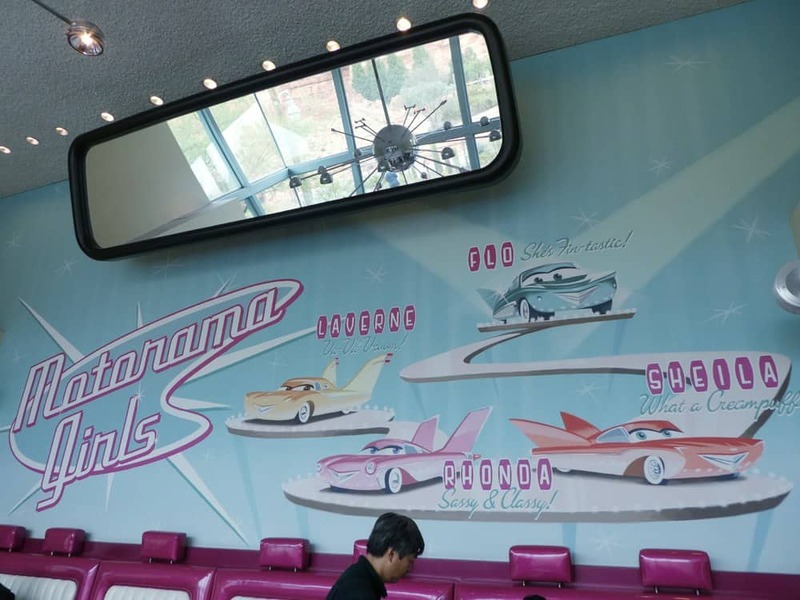 For more Disneyland dining ideas, see this post on The Best Meals for Sharing at Disneyland. 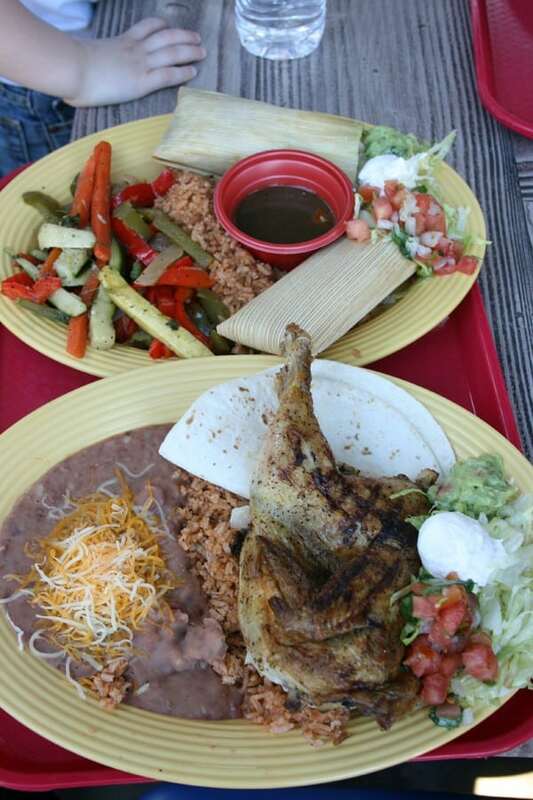 The Citrus-fired grilled chicken platter at Rancho del Zocalo is large and delicious (ask if they can sub black beans for the refried). 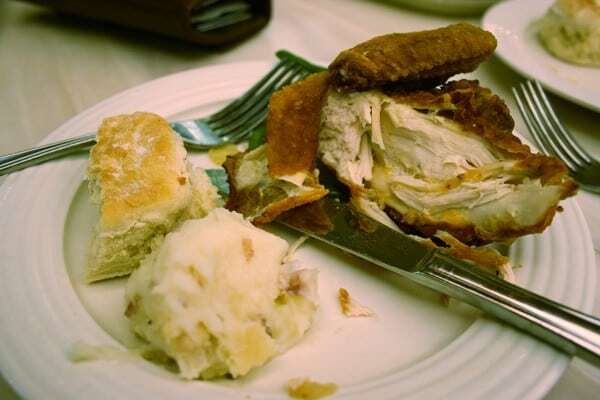 The oven-roasted chicken platter at French Market Restaurant is another favorite to share. Platters at Plaza Inn are enormous. We buy two plates of fried chicken and share between the five of us. With the sides of mashed potatoes & green beans, we all have enough to eat (and if you’re really watching the calories, you can always remove the skin from the chicken and request no gravy on the potatoes). This is ONE THIRD of a platter from Plaza Inn! That’s plenty of food, enough for sharing. At Tomorrowland Terrace, choose a portobello sandwich with loads of veggies. Ask for cheese and aioli on the side and fruit instead of fries. The soups at Pacific Wharf Cafe are so delicious, but opt for broth-based rather than cream. And try to minimize the nibble to the sourdough bread bowl! At Redd Rockett’s Pizza Port and Boardwalk Pizza & Pasta you can order a single slice of pizza. Both locations offer a version that skips the fatty meats and tops your slice with seasonal veggies. Round out your meal with a small side salad. Carnation Cafe offers the Chef’s Vegan Burger made of beans & veggies and served with lots of fresh vegetable toppings on a multigrain roll. The Hacienda chicken Caesar salad at Cocina Cucamonga is large and filling. Lamplight Lounge serves up healthier seafood options like tuna poke and a crab and tuna roll. Platters of fresh Mexican food, enough for four people to share. As a rule when ordering, avoid anything that is fried, battered, smothered, candied or has a creamy sauce. 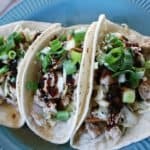 Look for grilled meats and veggies served without sauces. Don’t be afraid to request a substitution. You can swap fruit instead of fries at counter service restaurants. When ordering at full-service restaurants, ask the Cast Member to put toppings on the side so you can control how much you want to add or leave off. If there is any question about the dish, ask them how it is prepared so you’ll know before it’s in front of you. 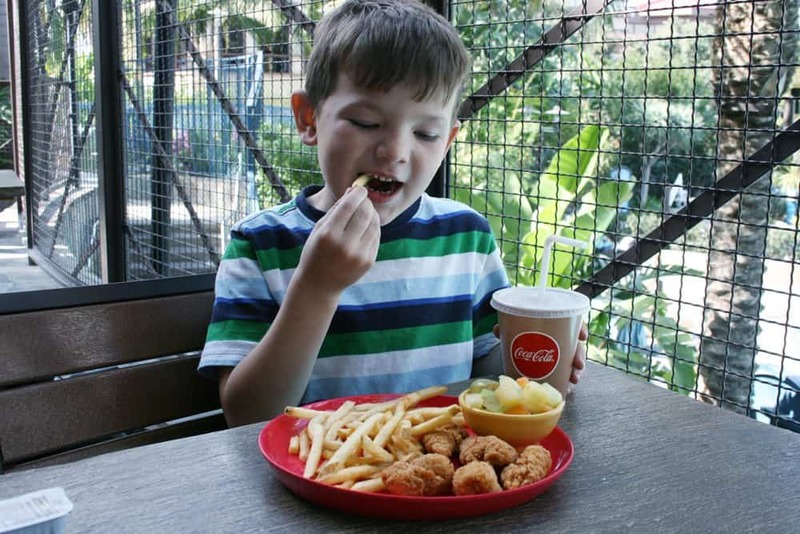 If you’re ordering at a quick-service restaurant, consider ordering for yourself off the kid’s menu. 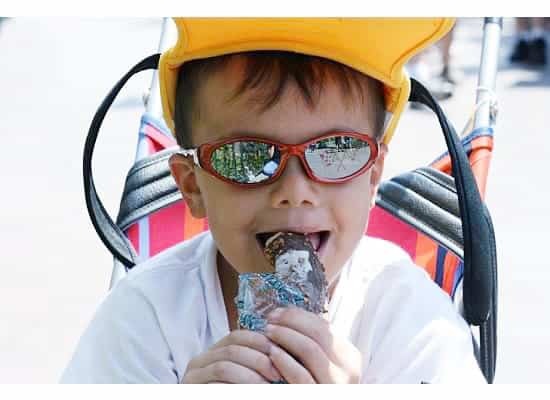 If you have special dietary requests or food allergies, read this section from the Disneyland website and know that you can speak directly to the restaurant staff or chef with your concerns. 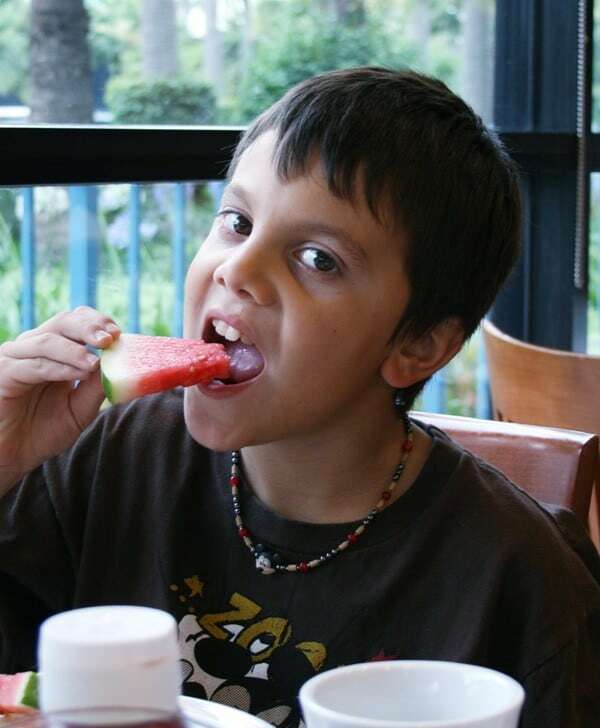 The kid’s menu options often allow you to sub fries for fruit! And adults can order off the kid’s menu at quick service dining. If calorie-counting, it’s best to skip the buffets. Unfortunately this eliminates all Character dining experiences! 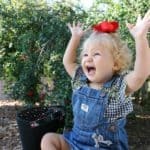 Kids can eat healthy at Disneyland too! When choosing kid’s meals, simply look for the Mickey Check. Mickey Check meals meet Disney Nutrition Guidelines as a complete meals. Some Mickey Check kid’s meals are also vegetarian. Enjoy just one bite. If you and your family would love to indulge in something fun or decadent, buy a corn dog. Treat yourself to a caramel-covered apple. Get that frozen treat or stacked marshmallows dipped in chocolate on a stick. And then share it between all of you. Everyone gets a few bites and you all can enjoy the treat! 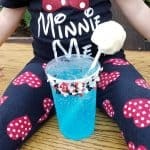 If you’re looking to indulge, check out this post of must-try Disneyland snacks from Britni at Play Party Plan! 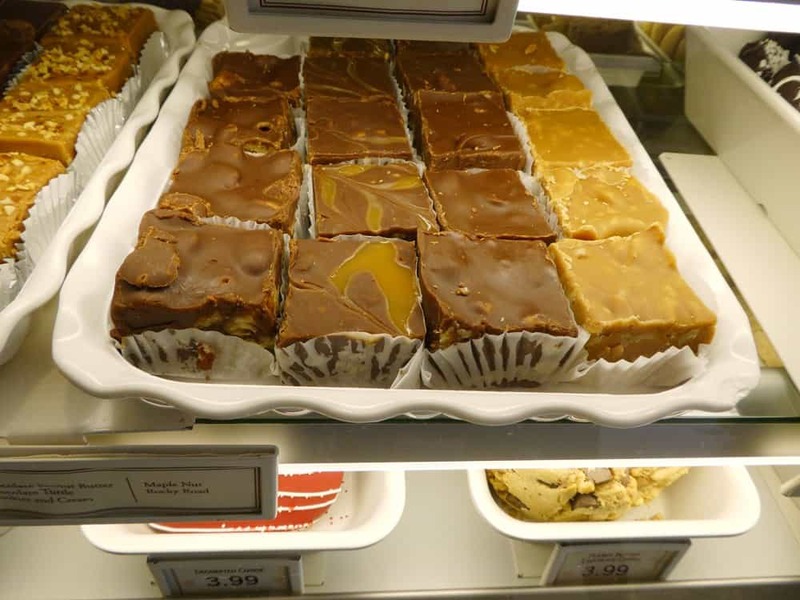 Buy a piece of fudge and then divide it up between the family so everyone gets a taste! 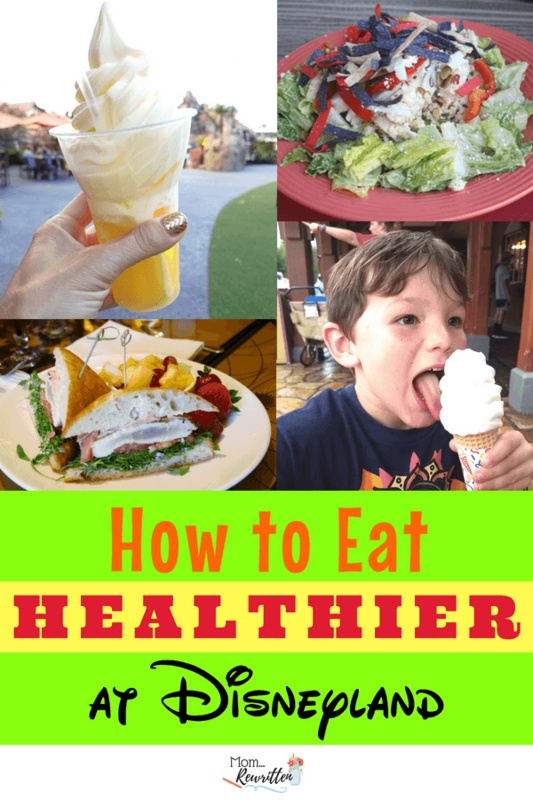 What are your favorite tips for healthy eating at Disneyland? Share with me in the comments!